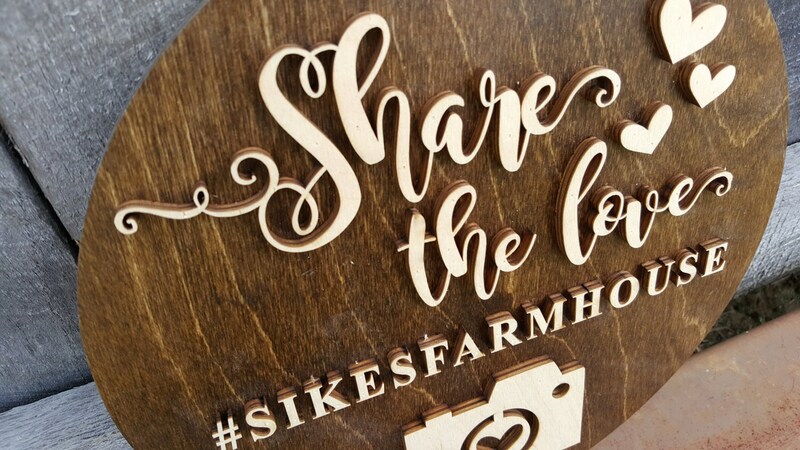 What a fun way to display your wedding or special event hashtag and encourage your guests to "share the love"! 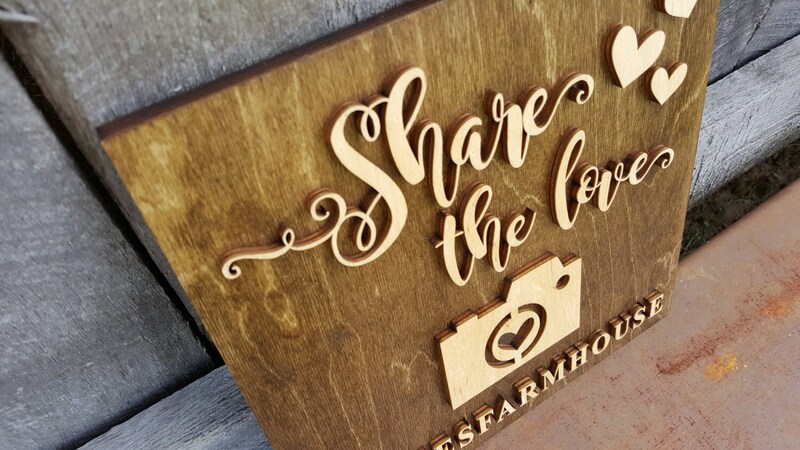 This stained, wooden sign is cut from 1/2" thick wood. 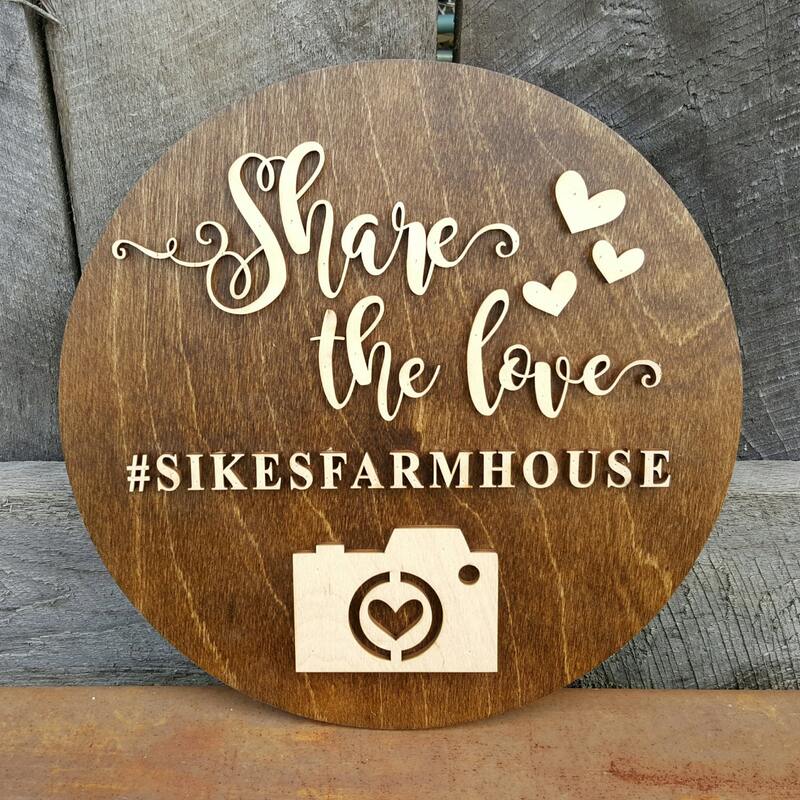 The wooden words are left natural and nailed to the stained board for a perfect contrast, making the piece into a great accent piece for your special day. Please remember to include the hashtag info in your notes at checkout. The sign is beautiful and exactly what I imagined. I’m so impressed with your work and absolutely love the final piece! 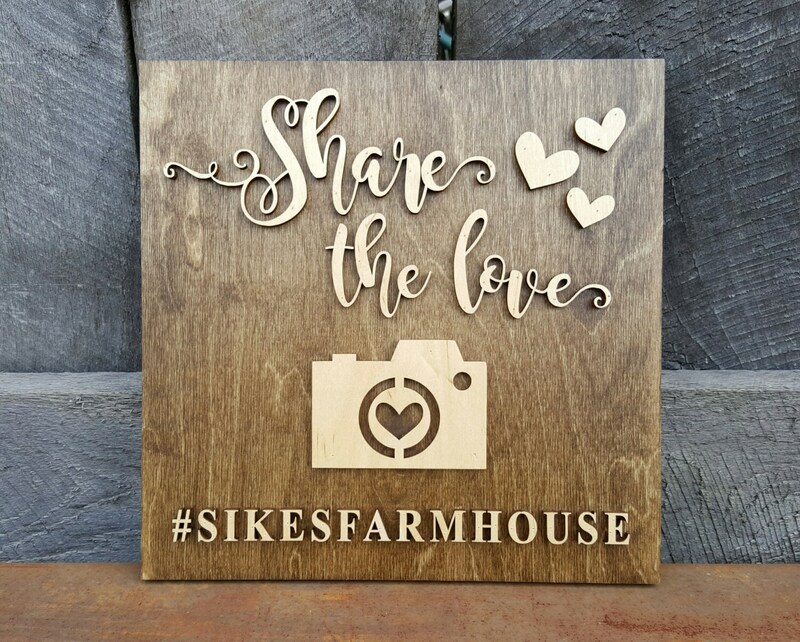 Could not be happier with this piece for our wedding! It’s amazing and just exactly as I thought it would be! Thanks so much!